Call center monitoring software is a tool that can be used by businesses to measure, track, and analyze data from a call center. Companies ranging from Fortune 500 organizations to small businesses may use this software. Call center monitoring software is installed to gather and standardize data from the calls, emails, and chats conducted by representatives. The software is then able to analyze that data on demand and provide findings and reports that can be used by managers or presented to senior levels of the organization. The business may choose to use the data reporting to benchmark quality and customer service, identify potential issues, or enhance training for call center operators. The specific functions and use of the call center quality monitoring software may vary depending on the size and type of business using it. However, any company, from a small business to a large corporation, can benefit for the sophisticated services provided by call center monitoring software. How will call center monitoring software improve my business? Call center monitoring software may be viewed as a one-size-fits-all program, but it doesn’t need to be. With a call center software solution such as Evaluate Quality, your package can be individually tailored to your business needs. If quality of customer interactions is a concern for your business, this can be managed through the real-time monitoring of agents. This will allow management a clear picture of the customer service experience that callers are receiving and identify opportunities for coaching and training. The resultant improvement in customer service can then be clearly measured through standardized customer satisfaction surveys. 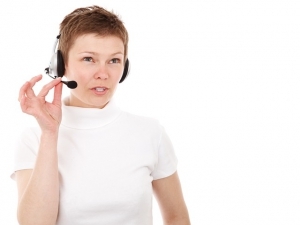 Data gathering and analytics is another huge advantage of call center monitoring software. Reporting and analytics, including predictive analysis, provide managers and senior staff with a wealth of information that may have been previously inaccessible. These reports can be used to develop actionable improvement plans and identify and deploy initiatives that will have measurable impact of the company’s bottom line. One of the most important considerations when sourcing call center monitoring software is the availability of a customized solution that fits your business needs. Whether your organization is large or small, Evaluate Quality from Sage Advantage can provide you with exceptional results. Evaluate Quality is a call center reporting software that can be customized specifically to the requirements of the business. This means that you can focus only on what’s important and relevant to your needs, without extraneous features. With Evaluate Quality, you can start monitoring and tracking multi-channel customer interactions- phone, email, and chat- in real time. Consider scheduling a demo of Evaluate Quality to see the bottom-line benefits this call center monitoring software can bring to your organization. Evaluate Quality, founded by Sage Advantage, in Scottsdale AZ.